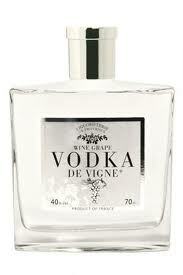 La Liquoristerie de Provence, a spirits manufacturer in France, will launch Vodka de Vigne, a grape-based vodka. According to the company, the new spirit is made from distilled French grapes, which the company plans to showcae during the annual Vinexpo in Bordeaux this month. The company claims that the grapes will provide the vodka a suppleness, subtlety and fruity aroma distinctive from its potato-based counterpart. The new product comes packaeged in a bottle resembeling a cologne, which is expected to be priced at €65 ($95). Grape-based vodka is made from frozen grapes that are grown in Gaillac or ‘snap frost,’ which are claimed to be one of the oldest and highest vineyard areas in France. The show is expected to gather representatives from 44 countries around the world.